Summer is almost over and our production office is buzzing with activity. 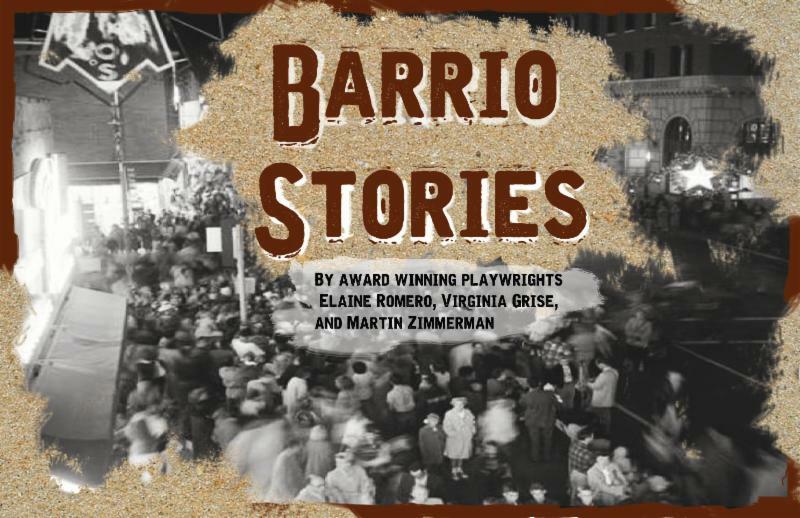 For our 30th season Borderlands Theater is putting Tucson stories and those that resonate with our experiences forward. We are proud to be working with community in new and engaging ways to offer one of our most exciting seasons! Here’s to another 30 years of innovation! Don’t miss out on the Season Passes! Check them out now! The 2015/16 season features 3 plays staged at the intimate Temple of Music and Art Cabaret Space, and one site specific production. Buy your Season Pass here! Savings of 25% off regularly priced tickets! Discounts on staged readings and added programs! Five tickets to use in any combination! Savings of up to 40% off regularly priced tickets! Includes opening night celebration at NO extra cost! A world premiere about the banning of Mexican American Studies in TUSD. The beloved, family friendly, 19th annual holiday tradition returns. 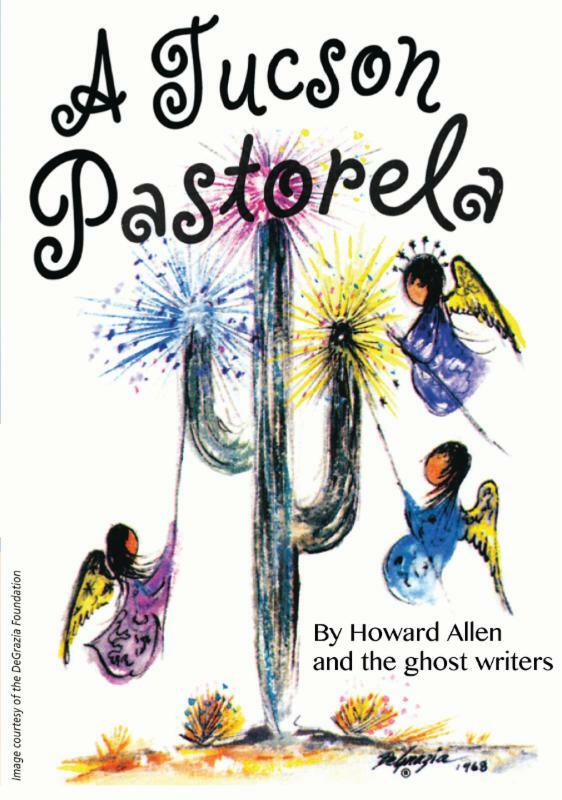 By Virginia Grise, Martin Zimmerman, and local playwright, Elaine Romero. March 3 – 13, 2016. 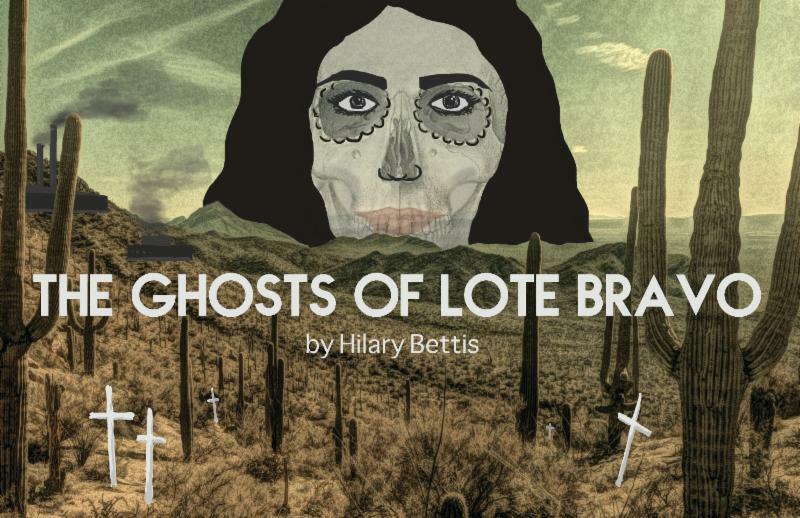 A National New Play Network rolling world premiere about survival in a border town. 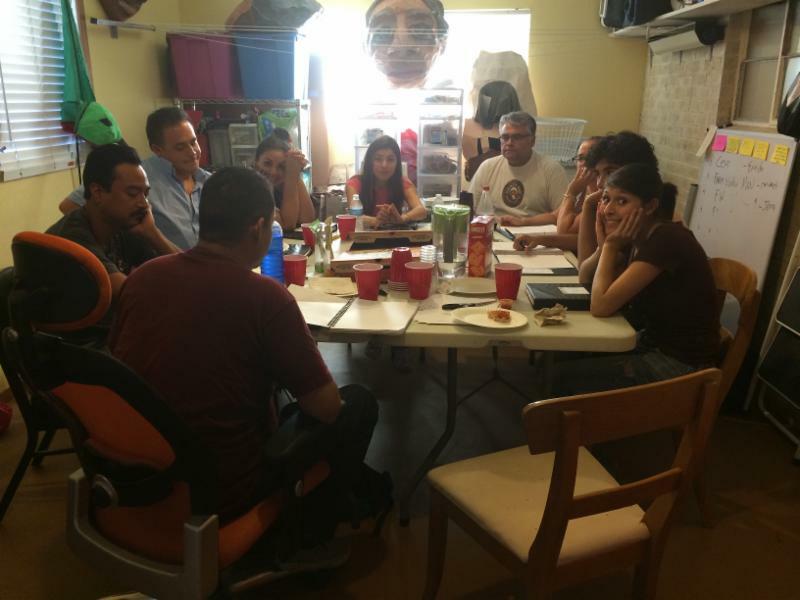 Cast and Crew have begun the work of realizing the play under director Marc David Pinate’s vision. 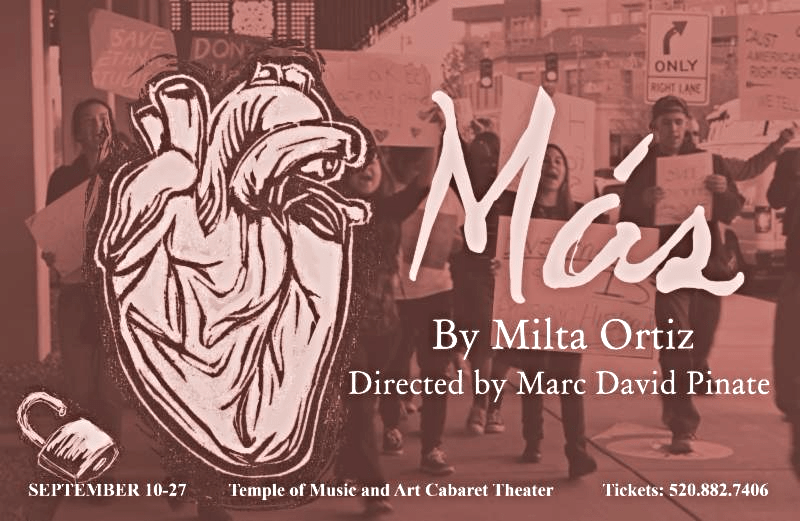 Más previews September 10th, Opening night September 12th! If you have any questions please do not hesitate to get in contact with us. Looking forward to sharing this season with you! See you at the theater!